The B04 Filament makes a great daily carry folding knife. 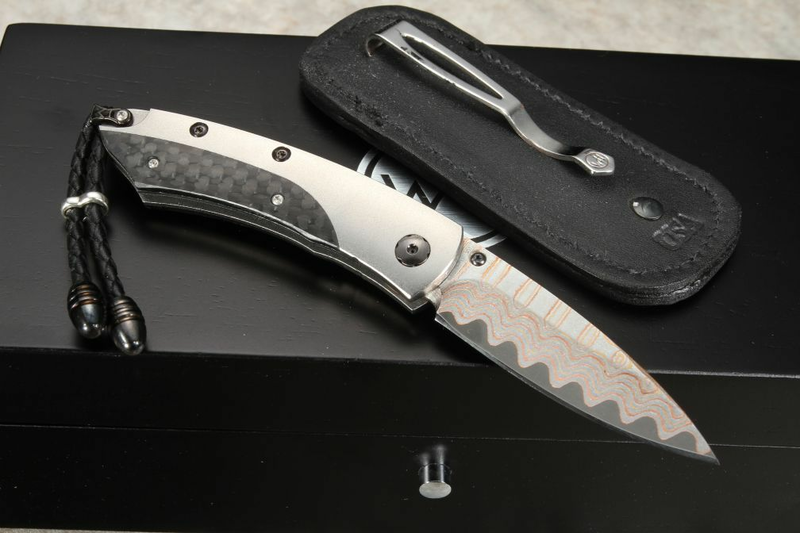 It is light and extremely strong because of its aerospace grade titanium handle. The razor-sharp Copper Wave damascus blade has a VG-5 cutting core. The thumb stud and the button lock are inlaid with matching spinel gemstones. The handle is inlaid with black carbon fiber. Braided leather lanyard on the handle. The individually numbered knife comes with a Certificate of Authenticity and wood presentation box. The knife comes with a black leather clip case for pocket carry. 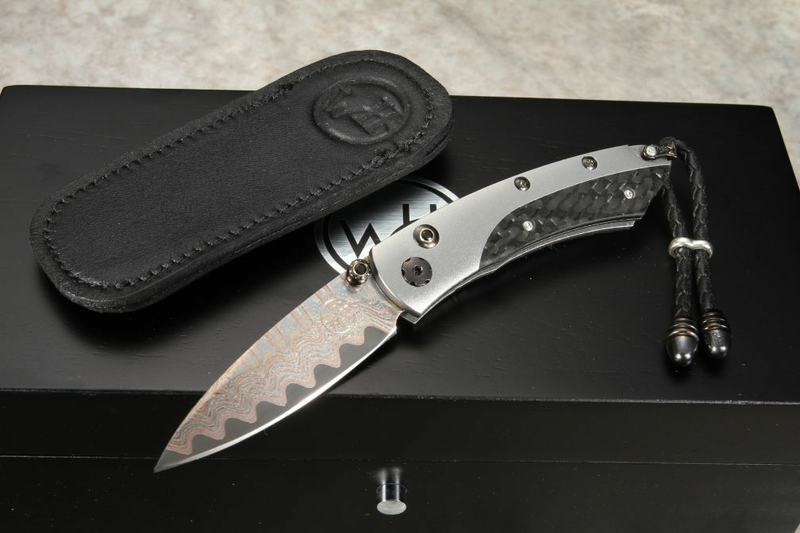 Limited edition of 250 individually numbered knives.